Journalist Julia Talben (Lowndes) has her life upended when her sister, brother-in-law and nephew are murdered in a senseless home invasion. 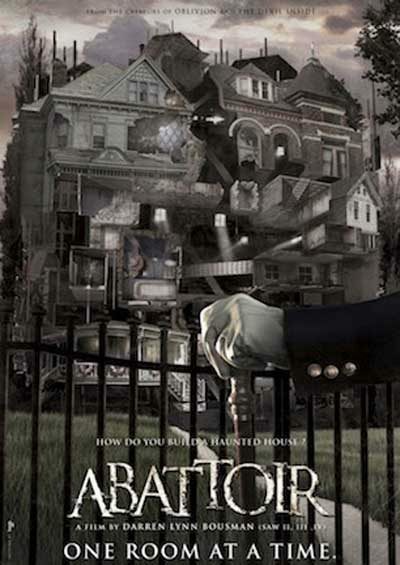 Before the victims are cold in the ground, the house has been sold to a mysterious buyer – who rips out the entire bedroom where the crimes were committed. Digging in to this, Julia discovers this is just one of a series of similar purchases and extraction, which tie back to the mysterious Jebediah Crone (Callie). Odder still, he is located in the small, remote Louisiana town of New English – which turns out to be the birthplace of Julia and her sister, who had been adopted, and were searching for their birth mother. Julia travels to the town, with cop/boyfriend Declan Grady (Anderson) trailing in her wake, and virtually on arrival, starts to sense there is something very, very wrong there. 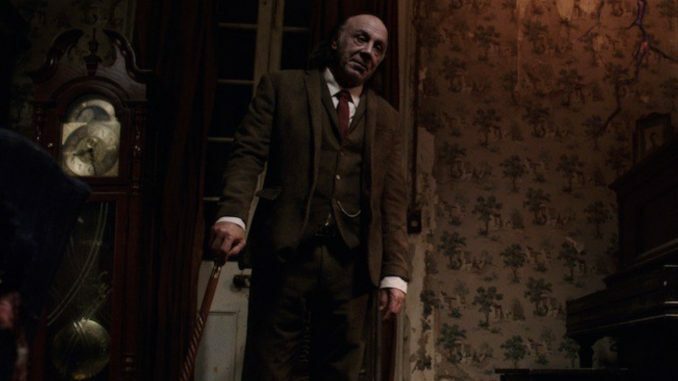 For it turns out Crone has been “collecting” ghosts, with the aim of allowing his family to escape from hell – a place he believes himself to have returned from, gaining supernatural powers as a result. He has succeeded in convincing the locals to go along with these twisted plans, turning them into cult followers as a way of ensuring their town’s survival through human sacrifice. Think The Wicker Man, perhaps – but with an F-sized haunted house replacing a giant roasting oven. It’s an interesting concept, and you can see why Bousman has openly expressed interest in making this a franchise. There are virtually endless potential stories which could be told, one for each room in the surreal mansion he has constructed, which looks (and behaves) like something M.C. Escher might have conjured up after binging on absinthe and cheese pizza. If so, it’s perhaps a bit unfortunate that he starts with one that’s not particularly interesting, and with some stylistic choices that are more a distraction than an enhancement. For example, he seems to be going for a “timeless” feel, with the film set in no particular era. It’s clearly modern, in terms of trappings like cellphones, yet Talben looks like a film noir heroine, and drives a vintage seventies car. Why? Who knows! But the film’s biggest flaw is likely Lowndes herself, whose performance (along with that of Anderson) is flatly unconvincing. Though in her defense, its failings only become notable when seen alongside those of Callie and, particularly, Lin Shaye as friendly yet weird New English local, Allie. Both veteran actors bring it, in a way which the heroine and hero are unable to manage. The film is perhaps also guilty of too much set-up: it’s only in the final 20 minutes that we get into the belly of the beast, and Bousman certainly delivers there, with a nightmarish climax, leading to a finale that’s more satisfactory than most of what has gone before. I’m probably more interested in the sequel it apparently foreshadows, than in this movie itself, particularly if it contains more of Jebediah and Allie.